This publication is a derivative product summarizing the global, evidence-informed recommendations and principles of the World Health Organization that address malnutrition in all its forms in adolescents with the aim of ensuring healthy lives and well-being among this group. It complements the WHO recommendations on adolescent health, with emphasis on the implementation of nutrition-specific and nutrition sensitive interventions targeting adolescents. 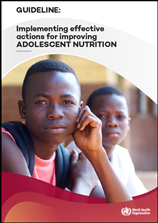 The purpose of this publication is to facilitate the implementation of existing WHO guidelines on nutrition-specific and nutrition-sensitive actions required for improving health and well-being of adolescents. Implementing these actions should explicitly take into account the heterogeneity of adolescents in general (for instance, in their state of physical growth and social development), as well as the diversity within their country (for instance, in terms of the expected responsibilities in the family, the number out of school or out of work and existing social norms). 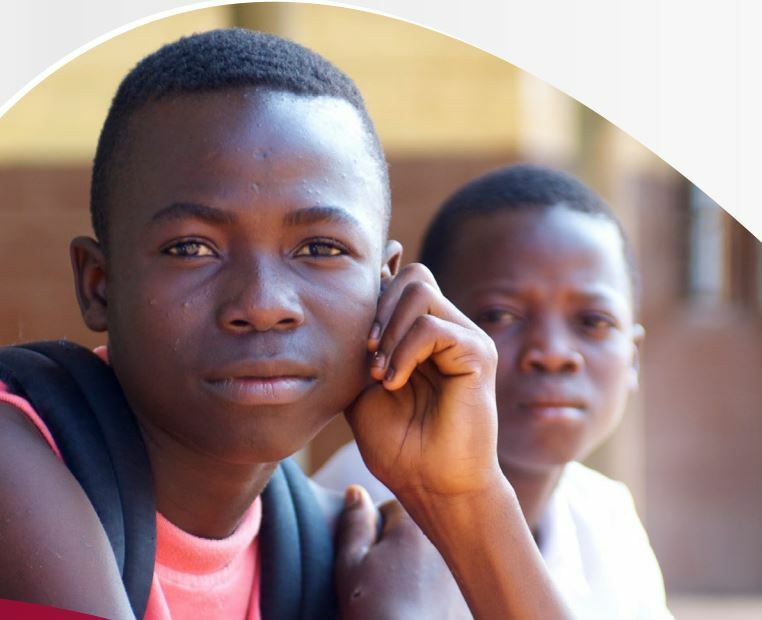 In addition, designing and implementing programmes to address adolescent nutrition should allow adolescent participation in governance, programme design, implementation, monitoring and evaluation. • disease prevention and management. • access essential health services. The recommendations and principles presented herein are derived from the cited WHO guidelines, which were developed following the procedures described in the WHO handbook for guideline development. The steps in this process include: (I) identification of priority questions and critical outcomes; (II) retrieval of evidence; (III) assessment and synthesis of the evidence; (IV) formulation of recommendations, including research priorities; and planning for (V) dissemination; (VI) implementation, equity and ethical considerations; and (VIII) impact evaluation and updating of guidelines. The Grading of Recommendations Assessment, Development and Evaluation (GRADE) methodology is followed to prepare evidence profiles related to preselected topics, based on up to-date reviews. Structured evidence-to-decision frameworks that include intervention effects, values, resources, equity, acceptability and feasibility criteria are used to guide the formulation of recommendations by the guideline development groups.